Dr. Yvonne Marie Andres is Global SchoolNet's executive director, co-founder and visionary. A former classroom teacher and educator for two decades, Andres taught pre-school through university and is passionate about demonstrating the power of Internet-based collaborative learning. Ms. Andres has been champion of telecollaboration since 1984 as a project director for various networks including the AT&T Learning Network, CORE (California Online Resources in Education) Network, and CERFnet (California Education and Research Federation). She is co-creator of the Global Schoolhouse and producer of International Schools CyberFair and the US State Department’s Doors to Diplomacy program. She designed a pilot Internet-television video project with ABC World News Now. Andres has been a keynote and featured presenter at the ISTE conference and provides leadership at conferences and workshops throughout the U.S., Canada, Asia, Europe, Australia, South America and Africa. Ms. Andres was named one of the 25 most influential people worldwide in education technology and was invited to meet with President Bush to launch the Friendship Through Education initiative. Andres was also awarded the International Soroptimist Making a Difference Award, for advancing the status of women and children. Andres serves as the US education chair for the Russia-US Civil Society Partnership. 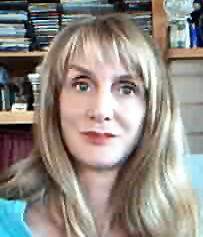 Yvonne is a co-founder of GSN and iPoPP: International Projects or Partners Place. John is one of the founding members of the Board of Directors of the Global SchoolNet Foundation. John has been teaching for over 27 years and is currently teaching computer programming with MicroWorlds (a version of Logo) at Vina Danks Middle School in Ontario, California. John also is in charge of keeping the classroom computers and the school network running at Vina Danks. He also is a district Technology Trainer, teaching after school computer classes at the district technology center. He is a moderator of an international Logo discussion forum on the Internet at http://groups.yahoo.com/group/LogoForum. Past jobs include 12 years as the FrEdMail SysOp of the OMSD node. John taught 12 years of computer credential classes for UCR Extension. He was trained to be a Telementor in the California Telemation Project and served one year as the Region 10 Lead Telementor, organizing and teaching Internet classes throughout the 4 counties in Region 10. He served 4 years as a District Technology Leader for Ontario-Montclair School district in the California Technology Assistance Project. John was awarded a Gold Disk by California's CUE (Computer-Using Educators, Inc.) for his contributions to educational technology. Lorna Pasos has almost 30 years of teaching experience in elementary school and Special Education. She has also served as the coordinator for the School Improvement Program for seven years. She served on the Computer Using Educators (CUE) Board of Directors for 4 years. As a coordinator for the GeoGame project, Lorna has been instrumental in making this collaborative online event a success. She has also been a FrEdMail sysop and a member of the Board of Directors of the Global SchoolNet Foundation. As a retired teacher, she volunteers in the computer program at a local elementary school, working with the kindergarten teachers and the Site Technology Leaders. As Chief Operations Officer and Chief Technology Officer at GSN, Al Rogers oversees all aspects of day-to-day operations of GSN and product development. With over 20 years of classroom teaching experience, Rogers is one of the earliest pioneers in the use of computers in teaching. Al’s work has influenced educators for two decades and he has received many awards for his contributions to technology use in America's schools. He was the author of FrEdWriter, a free teacher and student-friendly word processor and the FrEdMail (Free Educational Mail) Network, an Apple-based pre-internet telecommunications network developed to exchange student writing. His "Harnessing the Power of the Web" CD-ROM was distributed as part of NetDay and the Thinkquest Competition to over 500,000 teachers around the world. Al is a co-founder of GSN and iPoPP: International Projects or Partners Place. Ralph Genang is the founder of eLanguages.org, one of the first multilingual collaborative platforms for educators. eLanguages has 20,000 teachers from 144 countries connecting and collaborating on projects from all over the world. Ralph has been a speaker at many international conferences since 1997. He is an expert in the field of Collaborative Learning, Online Learning Communities, and Creation and sharing of Open Education Resources. 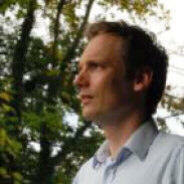 Ralph is a co-founder of iPoPP: International Projects or Partners Place. Dr. Sara Armstrong has been an educator for 30 years. Her classroom experience included integrating technology and telecommunications into the curriculum in the early '80s. More recently, Sara worked as an independent consultant on a variety of projects, including professional development, curriculum design, issues of information literacy, and storytelling and technology, and as the Director of Content at The George Lucas Educational Foundation. She is the author and co-author of several books, including "A Pocket Tour of Kidstuff on the Internet," and "NetSavvy: Information Literacy in the Communications Age." She contributed a piece to "Future Courses: A Compendium of Thought about Education, Technology, and the Future," (Technos Press, Jason Ohler, ed., 2001), and is the editor of “Snapshots! Educational Insights from the Thornburg Center” (Starsong, 2003) and "Edutopia: Success Stories for Learning in the Digital Age” (Jossey-Bass and The George Lucas Educational Foundation, 2002). Sara also serves on the boards of the National Storytelling Network and the Center for Accessible Technology. She is an Associate of the Thornburg Center for Professional Development, and a frequent national and international speaker. Sara has been awarded a Gold Disk by California's CUE (Computer-Using Educators, Inc.). With over 30 years of computer industry experience, Dan serves as a technology consultant to school districts and corporations in the acquisition and implementation of technology. This service includes marketing technology based products, in the design and implementation of hi-tech training and education solutions. Functions include the recommendation and implementation of hardware/software products as well as the development of specific applications to solve user problems. 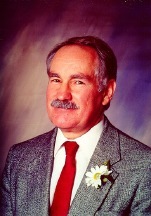 Dan co-founded the SHARE (School and Home Access to Resources for Education) consortium, a collaborative project consisting of four unified school districts, a two campus community college district, public libraries, the Orange County Marine Institute, and the twenty-one campus California State University system as well as a number of business partners formed to connect learners to instructional, and informational resources wherever it may reside. Some of Dan’s clients include; Jostens Learning, Edunetics Inc., The California Educational Technology Planning Commission (State of California), William C. Norris Institute, Arthur Andersen & Co., Saddleback Unified School District, Hueneme School District, GTE, Northern Telecom, Dallas Independent School District, Mount Edegcumbe School (Sitka, Alaska), Beverly Hills School District, San Diego DOE, Capistrano Unified School District, Saddleback College, Newport Mesa and Orange County DOE. Janine currently is the Computer Education teacher at Lakeside Middle School in Pompton Lakes, New Jersey. Students at Lakeside are learning how to use ClarisWorks, MicroWorlds, HyperStudio, Claris HomePage, and more under Janine's supervision and in correlation with the classroom teachers. She is active in both district-wide technology training as well as serving as the instructor for many ClarisWorks and HyperStudio workshops for the New Jersey Educational Computing Consortium (NJECC). Don Mitchell entered civilian federal service in 1970 as a management intern at the Department of Agriculture. In 1972, he moved to NSF, and began a career in contracting. In the mid-70s, he developed a system for motion picture production which was adopted in 1977 for government-wide use, pioneered the use of support contracting (before) and cooperative agreements (after) the inception of the Grant and Cooperative Agreement Act and managed the first civilian agency SBIR solicitation, as well as the first procurement which put a microcomputer on the desk of every employee in a federal agency. In 1987, he left NSF's Division of Grants and Contracts to join the newly formed division of Networking and Communications Research and Infrastructure (NCRI) shortly before the beginning of the NSFNET Program. After joining NCRI in 1987, he applied the experience gained from his previous activities to the networking infrastructure programs in that organization. His personal experience includes broad involvement in the programs and projects of that activity (which many credit with changing data networking from an arcane technology used by a small research community to the global Internet we know today). He is also coauthor, with Kimberley Claffy and Scott Bradner, of "In whose domain:name service in adolescence." In addition to his role in NSFs major infrastructure activities, he was personally responsible for the Global Schoolhouse Project, Cornell University's (CU-SeeMe) Conferencing Software development and Cells-in-Frames projects, the InterNIC, the Internet Scout Project, Dave Hughes Wireless Field tests, the National Laboratory for Applied Networking Research, the Internet Caching Project, the Cooperative Association for Internet Data Analysis, the National Center for Data Mining,the very high performance Backbone Network Service, and the High Performance Wireless Research and Education Network. 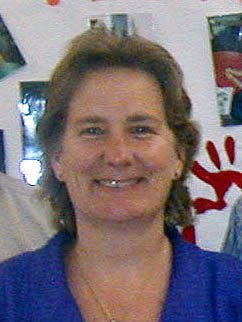 Lisa McBride has experience teaching at the elementary, middle, high school, and university levels for over 28 years. She began working in online collaborative learning in the 1980’s with GTE WorldClassroom and AT&T Learning Network. Through grant writing efforts, she started the SOuthWEstLouisianA (sowela) Free Educational Mail Network node and served as a volunteer sysop and facilitated online learning projects for seven years. Elected to the Global SchoolNet Foundation Board of Directors in 1998, Dr. McBride is proud to continue to help provide quality online learning opportunities to teachers and students. Her special interest is in serving as an ambassador for Global SchoolNet and learning more about learning with technology around the world. McBride loves teaching and learning. She holds a Doctor of Philosophy degree in Educational Leadership and Research with a minor in Educational Technology from Louisiana State University and is a National Board for Professional Teaching Standards (NBPTS) Certified Teacher in Early Adolescence Mathematics. She currently serves as a facilitator for the Skills for Life Project and as a Visiting Lecturer at McNeese State University. The Skills for Life Project which is a collaboration between the St. Gobain Corporation which is the parent company of Certainteed, Training Resources of America, and Calcasieu Parish Schools provides technology-mediated instruction to math-delayed middle school students. When she’s not in the classroom, McBride enjoys travelling with her husband, Adam, and spending time with her family.